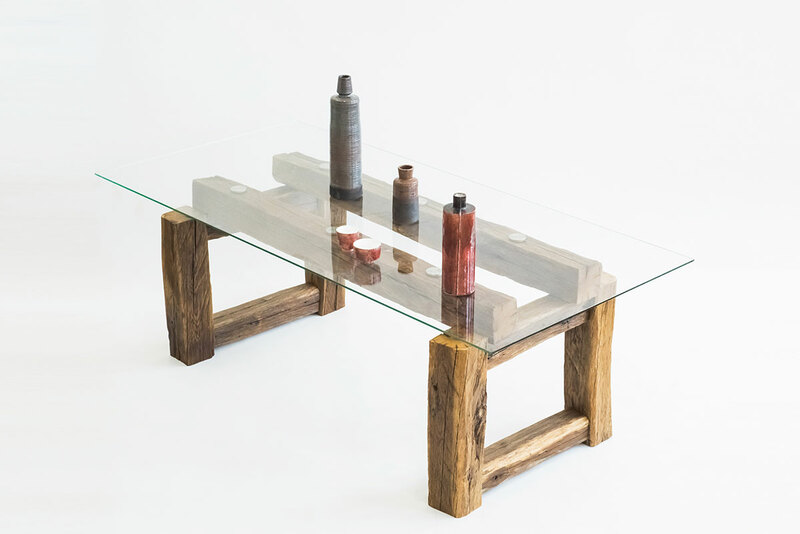 An unusual contrast of natural vintage material and modern design, massive base and elegant transparent tabletop – all this is aboutthe Monto Dining table. 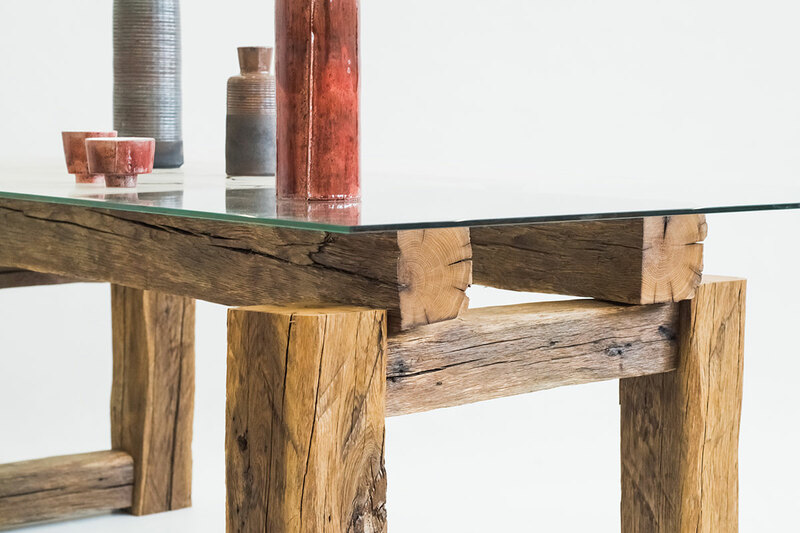 Such a table, without any doubts, will decorate any interior, fill it with live energy of natural material and the charisma of the original constructive solution. 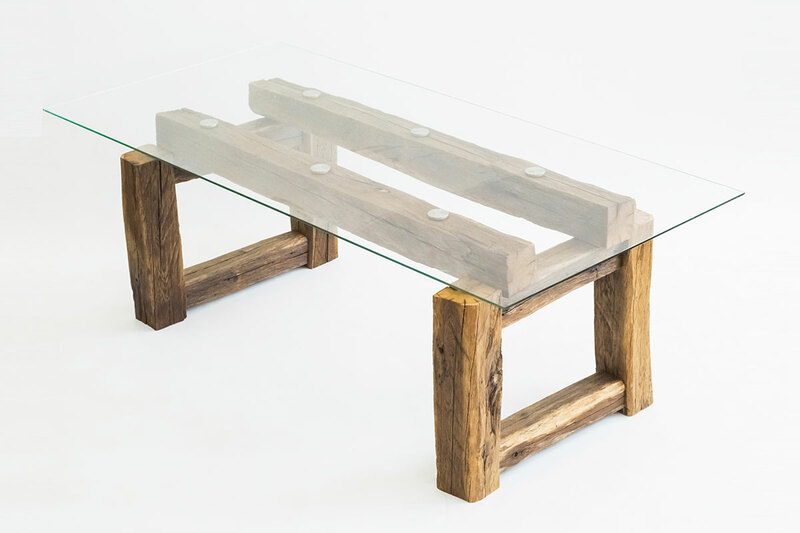 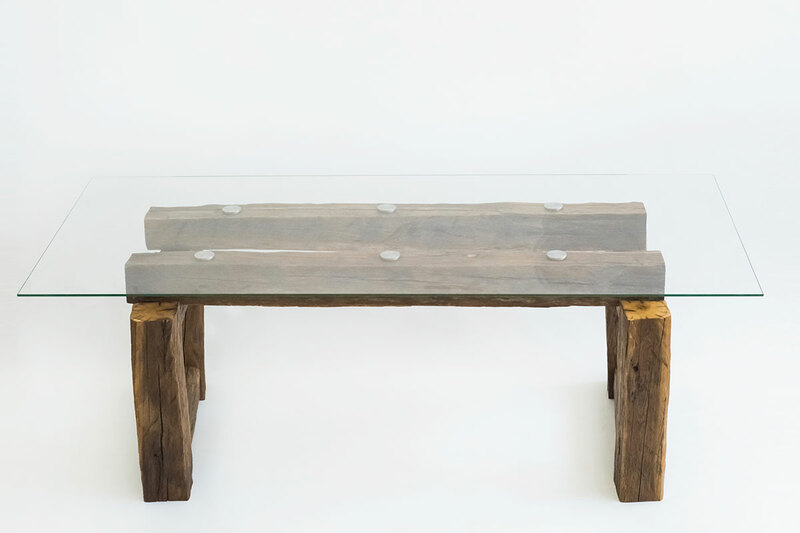 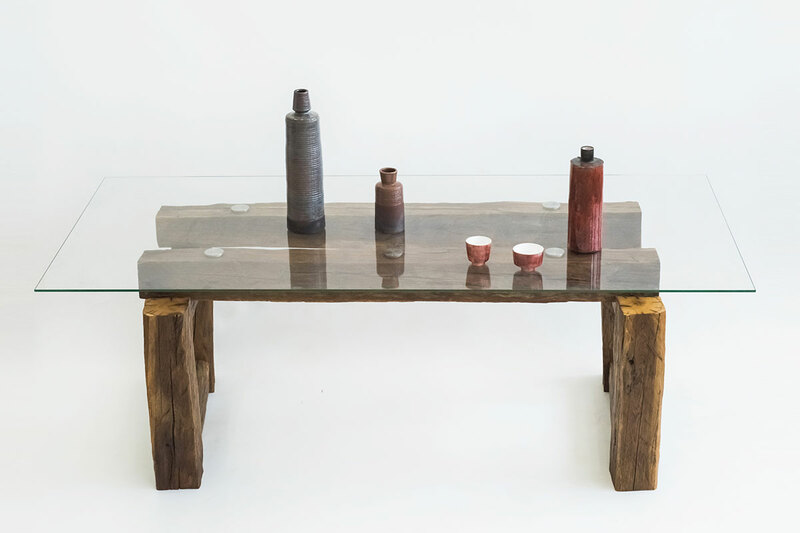 The base of the table is made of oak vintage beams in all their pristine beauty, and the tabletop is made of impact-resistant tempered glass 10 mm thick. 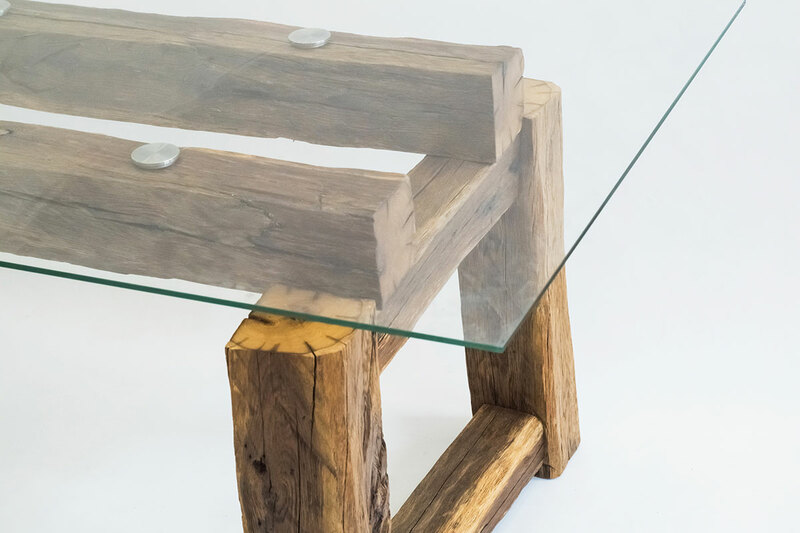 The overall dimensions of the table 2100x1050x750 mm will make it convenient for the whole family to have fun, and its durability and functionality guarantee a reliable service for many years.